When patients visit Cristin Dowd, DDS and Ken D. Wu, DDS, they know that their needs will be full addressed. The team at Signature Smiles believes in fully customized care, which include general dentistry services to maintain and enhance your dental health. Good dental care is carefully customized to meet the needs of patients, which means noting patient age and acting accordingly. With that in mind, let's consider the dental care needs of teenage patients. Many teenagers have issues with tooth misalignment and malocclusion. Sometimes the issues are very severe, leading to a number of issues with the overall appearance of their smile. Over time, this can result in potential health issues such as teeth grinding (bruxism) and potential TMJ disorders. This is why orthodontic care is a great option to consider for younger patients. Since teenagers are still growing and maturing, it's generally easier to treat cases of tooth misalignment during this time. Using braces, carefully applied tension is used to shift the position of the teeth into a healthier and more ideal position. Sometimes teenage patients would prefer an alternative to traditional braces that can enhance overall dental alignment without as much hassle or bother. That's where Invisalign may prove a great option. Invislaign uses clear plastic aligners to straighten the teeth. A new aligner is provided every two weeks to shift the teeth into a more ideal position. With Invisalign, the aligners are all removable. Patients wear their aligners at all times save for when eating, drinking, and cleaning their teeth. Every two weeks, a new aligner arrives to help shift the teeth into a more ideal position. Even when competing at a high school level, athletic competition can be quite fierce, especially in contact sports. Football and wrestling can both lead to serious injuries to the teeth and mouth. Even sports that are very aggressive and physical that do not necessarily involve contact (e.g., basketball, soccer) can lead to mouth injuries. Because of this, it's important that student athletes consider meeting with their dentist to receive mouth guards for their chosen sport. Should a dental injury occur as a result of a sports competition of some kind, we will be more than happy to help with emergency dental care services that repair teeth, gums, and other parts of the mouth. Wisdom teeth are extra sets of molars that come in during a person's early twenties. Many times these wisdom teeth grow in crooked, and in some cases they grow in toward the previous set of molars. 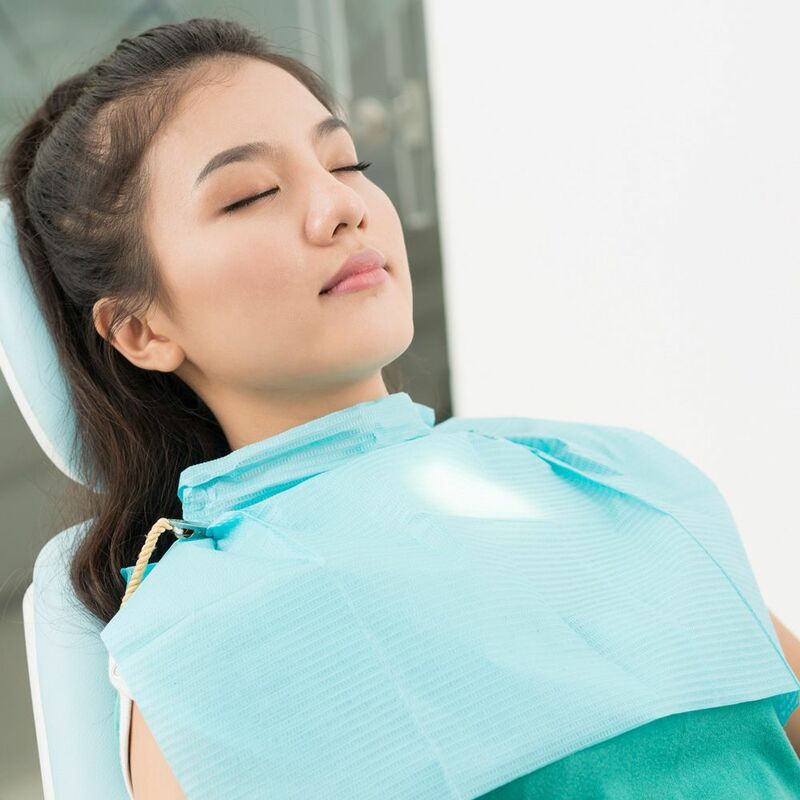 When this occurs, painful impaction happens and the These extra molars are not necessary for chewing or good dental health, which is why extraction is often an excellent idea. During a patient's later teenage years, the extraction procedure can be planned and discussed in greater detail. It's essentially a good period to prep for the surgery if it is required and plan on when it should be performed. An important part of good dental care is knowing how to keep your teeth looking their best and being their healthiest. That's why teenage patients will often receive tips for improving the health and appearance of their smiles. Patient eduction is key for all ages, especially for patients who are still growing. In addition to patient education, the basics are always crucial for lasting dental health. That's why teenage patients should regularly visit the practice for routine checkups and cleanings. This is a great way to keep your smile healthy for the years to come. To learn more about proper dental care treatments for patients in their teens, be sure to contact Cristin Dowd, DDS and Ken D. Wu, DDS today. The entire team here at Signature Smiles looks forward to your visit and helping you achieve a healthy smile that lasts well into your golden years.